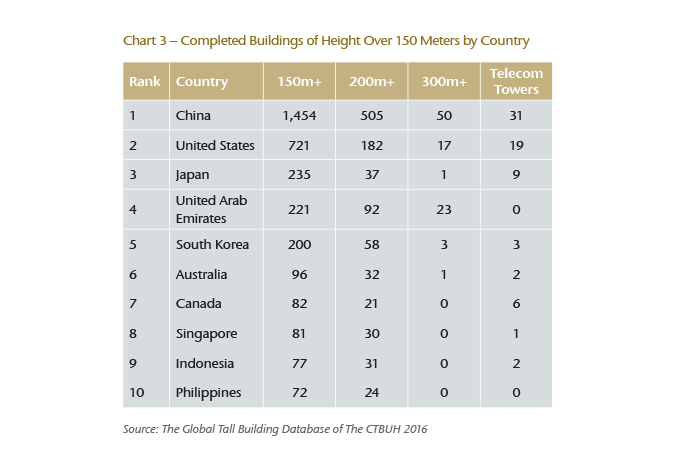 Rapid economic development over the last two decades has made Asia fertile ground for super high rise (SHR) buildings, and the Property/Casualty premiums associated with them bode well for insurers. But underwriters should be careful not to underestimate high rise fire risk and its potential for outsize claims. 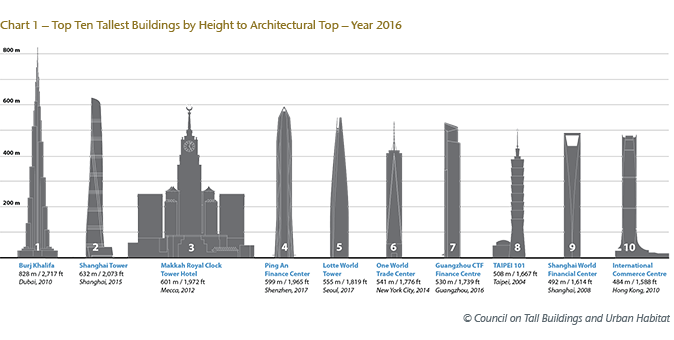 In China alone, 35 buildings of over 500 meters were reported to be either completed or under construction in late 2015, and by 2025 there will be more than 1,300 SHR buildings built that are over the 150 meters mark.3 While SHR buildings are mainly concentrated in Asia, more than 90% of them will be located in mainland China. From an insurance perspective, however, the impressive growth of SHR buildings in both number and height should be viewed in the context of their potential for producing large scale loss of life and significant Property/Casualty claims. The charred remains of the Grenfell Tower residential building (68 meters/24 stories) in London, where as many as 80 people perished, is a stark reminder of the human cost of a high rise fire; the insurance loss is likely to be staggering. Such SHR building fires usually catch the public attention. Widely reported SHR fires also occurred in Chicago, Caracas and Madrid, for example. But some less well known SHR fires occured in China recently, such as the Beijing CCTV north peripheral building (160 meters/30 stories) fire in 2009, the Shanghai Jiaozhou residential building (87 meters/28 stories) fire in 2010 and Shenyang Royal Wanxin Hotel (219 meters/4 stories) fire in 2011. All such fire incidents resulted in big economic losses and sometimes with a tragically high death toll. SHR buildings pose a great challenge to the insurance industry; while events might be of low frequency, they can have very high loss severity. Underwriters face numerous technical challenges when rating SHR buildings because they often have unique and novel architectural designs – for podiums, atriums and multiple towers, for example. The height of these buildings also increases fire exposure, which requires the underwriters to reasonably and realistically evaluate the effectiveness of fire prevention and suppression measures as well as the accessibility for firefighting. Such SHR risks always need to be assessed carefully with a technical survey report beyond merely visual inspection. 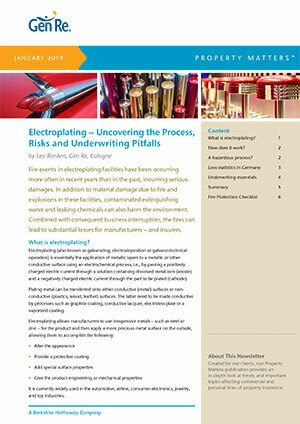 In addition to underwriting, the claims management can also be very challenging. For example, it is very hard to determine the damage to structural integrity, which complicates the question of whether to repair or rebuild. The decision to rebuild translates into a total loss (or constructive total loss), so insurance underwriters need to consider a 100% fire loss for SHR buildings. 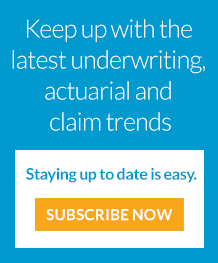 Another claims management difficulty is the myriad of different types of policies involved in a SHR building fire. In addition to the first-party property coverage and loss of life, a huge variety of Casualty and Liability insurances address third-party elements, consequential loss, errors and omissions, law and ordinance, and various professional indemnity and guarantee issues. All of the above insurance challenges and difficulties require a high level of professional expertise and technical knowledge to cope with the higher degree of exposure for SHR buildings. Fire safety for SHR building is a major challenge for architects, engineers, property management companies, fire departments – and insurers. Even for buildings over a certain height, there are no proven building codes for fire in most if not all countries in the world. Most countries adopt a case-by-case principle for SHR buildings and call for performance-based design. In China, building fire codes specify mandatory requirements and rules for buildings of below 100 meters high and higher standards with five categories of special requirements for those above 100 meters, up to 250 meters. The China Fire Codes GB50016-2014 include a stipulation that buildings over 250 meters must comply with the existing fire codes. Plus, more vigorous fire prevention measures need to be adopted, and the fire prevention design should be submitted to the relevant state-level firefighting supervision department for special expert panel study before approval is granted. SHR civil buildings have many unique characteristics, such as the large number of occupants, longer egress time and distance, smoke movement and fire control. Once a fire occurs, it is likely to cause heavy casualties and huge property damage. Challenges include firefighting accessibility, fire compartmentation, particularly for the vertical fire spread, refuge and evacuation, water supply and pressure, emergency electricity supply, etc. The increasing use of new materials for structural components, plastic insulation and facade also complicates fire prevention design and firefighting. The fire codes for SHR buildings are further complicated by other design codes, such as structural, anti-seismic, and wind velocity, ground load bearing, as well as their novel architectural design. It is also a universal principle that SHR fire safety codes focus on life saving in the event of fire rather than extinguishing the fire to protect the property – as should be the case. But it leaves the property of high rise building vulnerable and open for severe damage and even total destruction in the event of a fire. With more and more tall buildings altering the skyline in Asia and in other parts of the world, safety code bodies, architects and construction firms, fire departments, insurance companies and the general public all need to raise their awareness of SHR fire risk. All parties should be jointly committed to enhancing fire safety standards and implementing more vigorous risk management procedures.